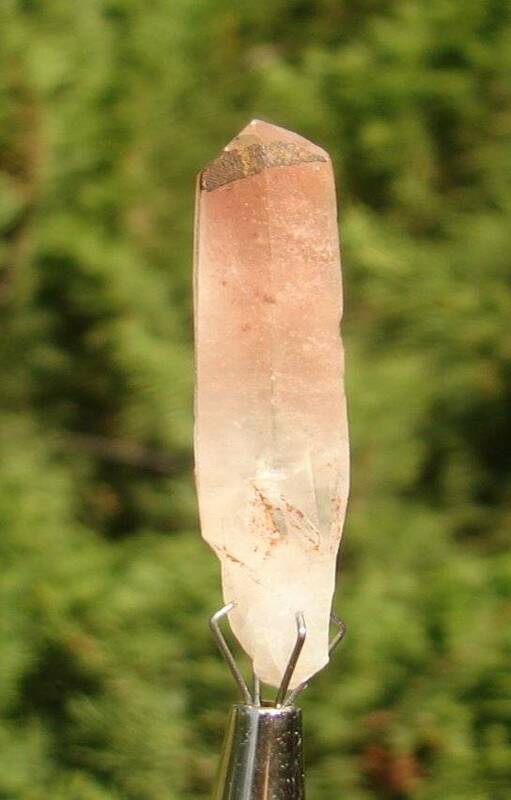 EXTREMELY RARE NATURAL PINK ATTUNEMENT CRYSTAL! This is a natural Attunement Quartz Crystal from Madagascar! She is strongly etched, has a large Channeling Face, and contains a strong Key. This crystal is completely natural and has not been polished nor cut but is in its original form. 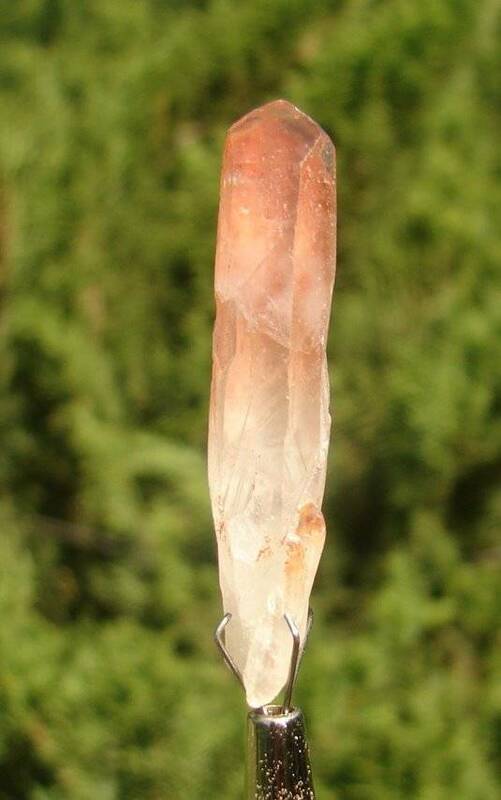 Attunement Crystals are a newly found Master Crystal in Madagascar. They work in the emotional, spiritual, and physical planes to provide calm, balance, patience, and peace. They are a helpful companion to other crystals as they help other crystals to vibrate at a harmonic frequency and act very much like a bridge. They can be used to facilitate one to feel all crystals and vibrations from different entities. These crystals are most helpful when used as they were programmed many eons ago, and that is as a helper so one can use the healing vibrations of other crystals. They do this by making a clear connection between ones self and others, including crystals, people, plants, and all things. 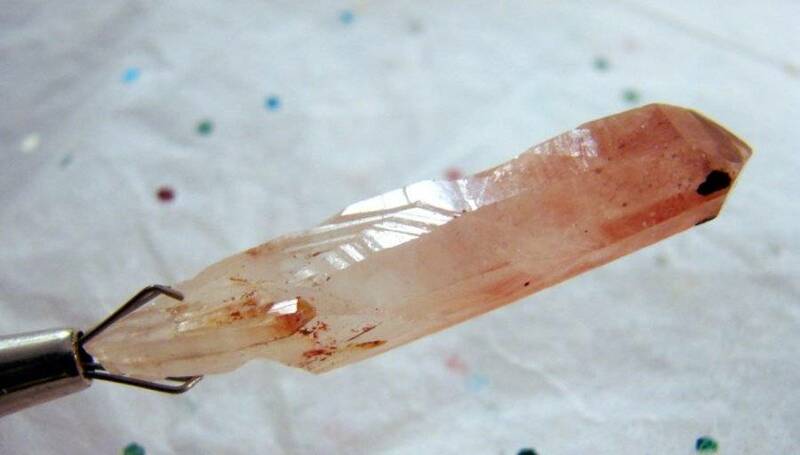 This is also an excellent crystal for meditation and lucid dreaming. 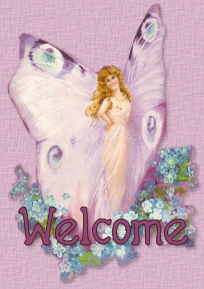 I am a Certified Master of Crystology per Melody and an Affiliate Member of TAOMCHI (The Association of Melody Crystal Healing Instructors. I also have degrees with the Gemological Institute of America.